My family likes to spend time in the mountains. To be honest, it is just me who really likes to spend time in the mountains – the kids don’t have a choice and I typically drag them along. They are typical teens and pretend they are not having a good time. Grumpy face. Head buried deep in whatever social media secret they are keeping from me at the moment. 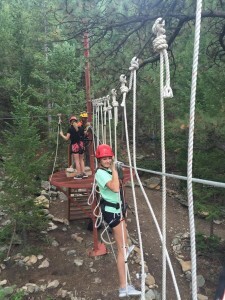 In an attempt to have technology-free fun, I took my daughter and her friend to Lawson Adventure Park in Lawson, Colorado, just west of Idaho Springs off I-70. 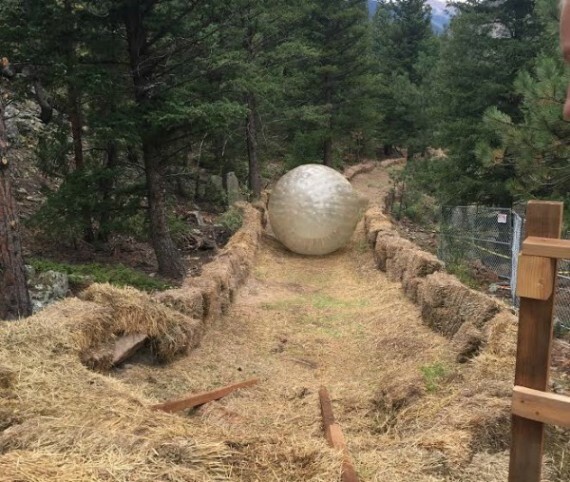 Lawson Adventure Park has an ever-changing line-up of activities that include Gyro Extreme, Mechanical Bull, Climbing Wall, Spider Climb, Water Walkerz, Bungee Trampoline, Barrel Roll, Shooting Gallery, Mineral Painting and Miners Maze. Here are a few of our favorites. Challenge Course. We started the day with the Challenge Course, which is a bit like a suspension bridge with a small zipline where we could choose which direction and what challenge to attempt. We climbed up the rope wall to start and then we walked across the suspension bridge to a rope loop hang. Then we zipped back to almost the beginning. It was certainly a challenge for all ages at any point but a lot of fun. There were eight elements total and we conquered them all. Individual Price $45. Zorb. The zorb was one of our favorite things all day! (And certainly made great videos that my daughter has shown several of her friends). It is like a giant inflatable hamster ball that is tossed down the hill with someone inside! There is also water in there (about 5 gallons) so that the person inside slides and slips around. Be prepared to be drenched. Individual price $29 for the first time and $10 for each additional. Water Walkerz. From a spectator standpoint,Water Walkerz was hilarious. 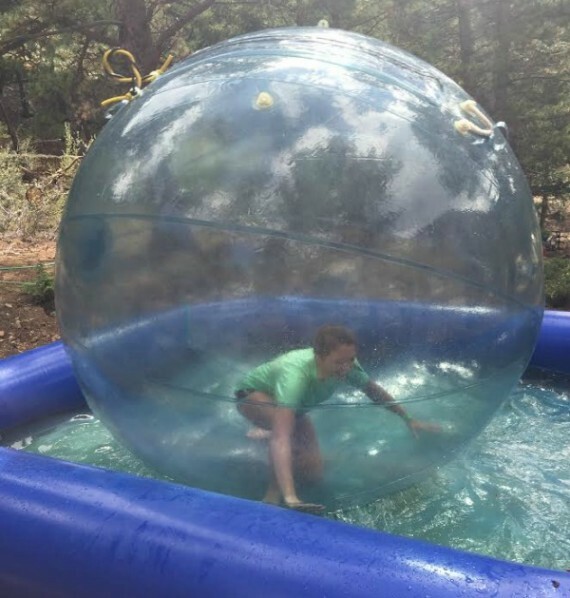 With my daughter inside an inflated plastic ball, she attempted..and attempted…and attempted to stand upright inside the ball as it was floating over a small pool of water. No matter how hard she tried or how close it looked like she would get to doing it – it was met with a fall and a burst of laughter. I think the WaterWalkers were more fun for us to watch than it was for them to participate. A la Carte Price $12. Maze. I have to admit, I was a bit blasé about the Maze. It looked like one of those kid’s mazes that is erected at the playground or Renaissance Festival and is seemingly easy to navigate to the opening point. However the twist on this was there were four hole punches hidden through the maze that spelled out M-A-Z-E. We were to race each other and get all four punches before we could exit the maze and time-stamp how long it took us. The twist made it so much fun and a great (dry) way to finish off our day. 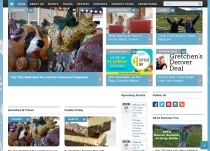 Individual Price $10 for two runs. Pricing. We got the all-day pass but found that we were pretty much done in about three hours (plus, we didn’t have weather on our side). Each of the activities are priced individually or you can buy a 1.5 hour pass ($44); Three-hour pass ($79) or the all-day pass ($149). Due to weather some of the things we may have tried (Via Ferrata) were not available that day. If we were to do it again, we would likely just buy the three-hour pass and pick and choose which events to do. A Day at Play. We had a ton of fun at this hidden gem. The team of people there are fantastic at making you feel safe (they talk you through the safety harness) and absolutely welcomed. They are building cabins, yurts and campsites (complete with shower facilities) at the base of the course which should be opening soon. We’ll be back for s’more fun when those are built!